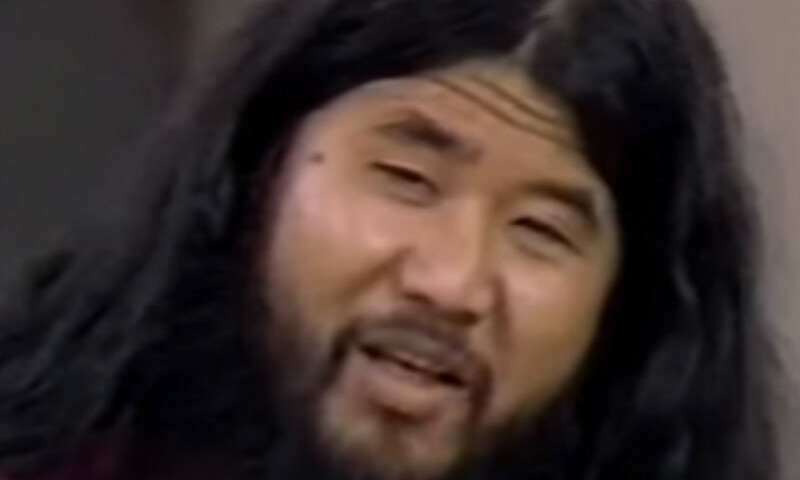 Shoko Asahara, the founder of the Japanese doomsday cult Aum Shinrikyo. Shoko Asahara, the founder of the Japanese doomsday cult Aum Shinrikyo and the mastermind behind the 1995 sarin gas attack on the Tokyo subway, has been executed along with six of his followers. Japanese broadcaster NHK, citing unnamed sources, reported that Asahara and at least 6 of his followers were executed by hanging on early Friday morning. Asahara’s execution was confirmed by a government spokesman. In 1984, Asahara founded Aum Shinrikyo as a spiritual group which mixed Hindu and Buddhist beliefs. It later incorporated Christian prophesies and evolved into a doomsday cult, convinced that the world would end in a nuclear Armageddon in 1997. Asahara, who declared himself to be “Christ,” claimed that only his followers would survive the end of the world. Aum Shinrikyo, which means “Supreme Truth” in English, attracted tens of thousands of followers around the world. Their first major attack happened in June 1994 when the group released sarin gas outside an apartment building in Matsumoto, targeting judges who were overseeing a case against Aum Shinrikyo. A total of 8 people were killed and 500 others were injured. Less than a year later, in March 1995, members of the group released sarin gas in the Tokyo subway, killing 13 people and injuring more than 6,200 others. The attack shocked Japan and remains the country’s worst ever act of terrorism. After the attacks, members of the group revealed they had also killed lawyer Tsutsumi Sakamoto, who had been missing since November 1989, along with his wife and their 1-year-old son. Sakamoto was preparing a case against Aum Shinrikyo on behalf of parents who wanted to free their children from the group’s control. Asahara and 12 of his followers were sentenced to death by hanging after lengthy trials. It took more than a decade to carry them out because Japan does not allow an execution to take place if an accomplice has not yet finished the appeal process, which came to an end in January.